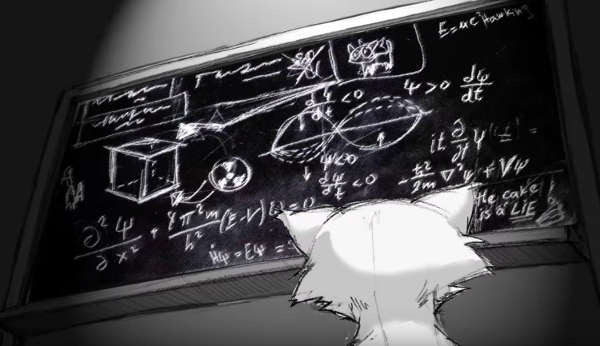 What if we done the Schrodinger's cat experiment? The Schroedinger's cat is a thought experiment proposed by Erwin Schroedinger in 1935 in order to proof the limits of quantum mechanics and Copenaghen interpretation. One of the most known consequence of the paradox is the many worlds interpretation, but also artist was inspired by the paradox. For example Chavdar Yordanov created a beautiful and funny animation with the music created by Sian Smith (via Open Culture). The present level of pollution, increasingly involving ground waters, constitutes a serious risk to the environment and also to human health. Therefore the remediation of saturated and unsaturated soils to remove pollutant materials is more and more frequently required. In the present paper, the possibility of removing heavy metals by permeable reactive barrier (PRB) from the groundwater carried out specifically with broom fibers, is investigated. Once shown the economic benefits deriving from the use of this plant, a hydraulic characterization of the broom fiber mass was performed, determining the permeability and the porosity in correspondence to different levels of compactness of the fibers. Having verified the effectiveness of removal of some heavy metals by these fibers, the results of some experiments, carried out in the laboratory for this purpose, are shown. These experiments were carried out utilizing broom fibers obtained in different ways and, limitedly to the considered pollutants, showed the high capability of these fibers to reduce their concentrations. The best results were obtained for the broom fibers extracted by a particular chemical-physical process. Moreover, the behaviour of this fiber with time was investigated, determining the kinetic constant of degradation. 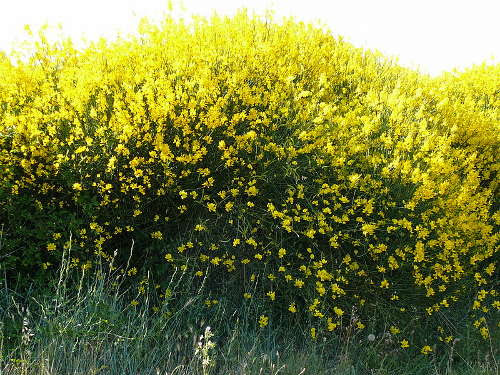 A novel and efficient method for the extraction of cellulose fibers from Spanish broom (Spartium junceum L.) is presented. The method is based on the sequential combination between an initial chemical stage (alkaline digestion) and a subsequent physical–chemical stage, consisting of compression with hot air in an autoclave followed by rapid decompression (DiCoDe process, digestion–compression–decompression). The alkaline mother liquor deriving from the initial digestion step can be conveniently recycled after centrifugation followed by ultrafiltration. The process is characterized by the production of fibers with excellent physical–chemical properties, such as high mechanical resistance and high elasticity, and rapid production times. The fibers obtained after the DiCoDe process can be further softened and whitened by means of enzymatic digestion. Fibers were morphologically characterized by scanning electron microscopy (SEM), while their composition and physical–chemical properties were determined by conventional methods, including colorimetry, TAPPI protocols, IR spectroscopy, and X-ray diffractometry. In the past decade interest in biopolymers has increased. Attempts were made to prepare new composite systems from biopolymers by binding different synthetic polymers to a biopolymer backbone. This paper reports the synthesis and characterization of derivatized broom fibers to prepare composites with either degradability or fireproofing properties. Synthetic strategies are described for the introduction of polymerizable functional groups or fluorine atoms on the glucose of cellulose chains of broom. The fibers containing polymerizable groups were copolymerized with dimethylacrylamide and styrene and, after that, investigated by optical polarizing microscopy (OPM) and scanning electron microscopy analysis (SEM). The materials containing fluorine were submitted to thermogravimetric analysis (TGA) and differential scanning calorimetry (DSC) for the purpose of verifying the fireproofing. Such derivatized biomaterials could be successfully used for applications in agriculture and in the packaging area. Felix Klein was a German mathematician best known for a particularsurface thet he introduced in 18882: the Klein bottle, a non-orientable surface without edge, inside, outside and no boundary (for example a sphere is an orientable surface without boundaries). In 1995 Alan Bennett, a retired glass-blower, became interested in Klein bottles and was in a unique position to satisfy his curiosity. From simple beginnings his researches produced a variety of beautiful and mathematically sophisticated forms. New discoveries have emerged from his work which formed the inspiration for this display. 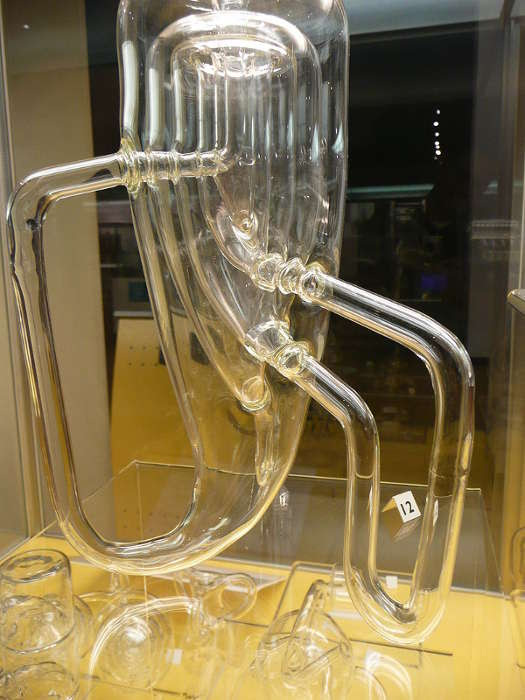 This is one of a series of glass Klein bottles made by [the artist] for the Science Museum. It consists of three Klein bottles, one inside another. In the series Alan Bennett made Klein bottles analogous to Mobius strips with odd numbers of twists greater than one. 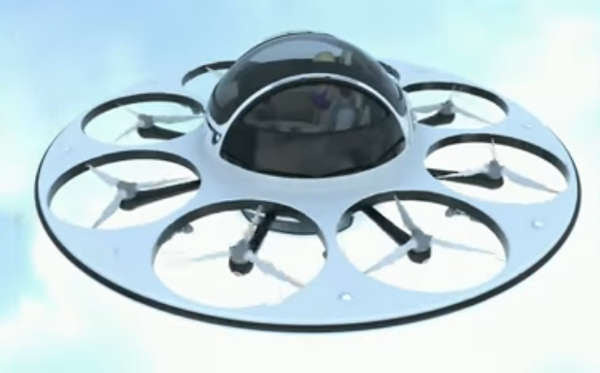 Pierpaolo Lazzarini is an italian designer, who proposed an interesting concept personal aircraft for the future of mobility: I.F.O. The project is an evolution of the previous U.F.O.